Color-deficient viewers would likely confuse red urban areas with green forests, not to mention tan scrub, in this land cover classification map of the Portland area. Robbins is absolutely right, and I don’t think there’s an easy answer—even the Geological Survey, with its rich history of cartography, has problems displaying more than a handful of categories on a single map. Comparison of color ramps generated with D3.js in hue, saturation, lightness (HSL, non-perceptual); hue, chroma, lightness (HCL, perceptual); L*a*b, (Lab, perceptual); and red, green, blue (RGB, non-perceptual). D3.js allows both the selection of start and end points and interpolation in perceptual color spaces. I’ll post more comments if and when I get them. The previous posts are my personal take on using color in visualization. I hope my perspective is useful, but it’s primarily a synthesis of the work of others. Here’s a list of the sources that inspired and informed this series. If you don’t have the time or the inclination to sort through the whole set, I think these three resources are essential: Colin Ware’s Information Visualization: Perception for Design, which has several sections on vision, light, and color; The “Color and Information” chapter in Edward Tufte’s Envisioning Information, and the supplementary information in Cynthia Brewer’s ColorBrewer tool. Artists (particularly painters) have long been concerned, possibly better described as obsessed, with color. Two Twentieth-Century classics stand out: Johannes Itten’s The Elements of Color and Josef Albers’ The Interaction of Color. Itten’s text focuses on color theory (including a somewhat outdated explanation of the physiology of color perception) and the mixture of pigments. The Interaction of Color is centered around a series of exercises performed with colored paper (replicated in an iPad app developed by Yale University) a concrete demonstration of simultaneous contrast, simulated transparency, and perceptual versus mathematical use of color. It’s the definitive guide to the relativity of color. Bruce MacEvoy’s web site is primarily about painting with watercolors, and has outstanding sections on color theory and color vision. As I’ve mentioned several times in this series, cartographers were communicating with color long before the term “data visualization” was coined. Eduard Imhof’s Cartographic Relief Presentation explains the theory and meticulous craft applied to Swiss topographic maps (zoom in). The book covers the use of color to denote elevation and how to layer information by carefully controlling hue, saturation, and lightness. Tom Patterson, a cartographer with the National Park Service, updates Imhof’s ideas on Shaded Relief: Ideas and Techniques about Relief Presentation on Maps. This web site shows how to use modern techniques and data to replicate classic map designs. I find The Development and Rationale of Cross-blended Hypsometric Tints (PDF) particularly fascinating. 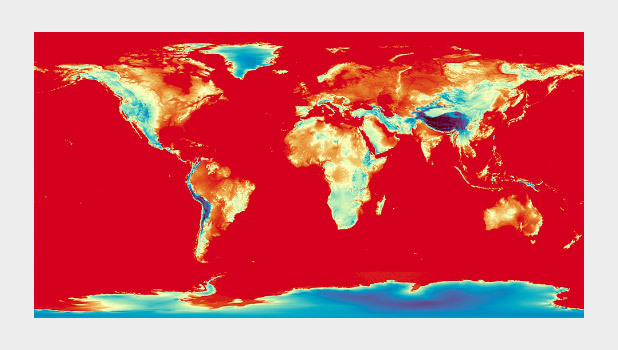 It describes Patterson’s technique of using two color palettes to denote elevation on a single map: one optimized for arid areas, the other for humid ones. Relief Shading covers similar ground, with a straightforward section on color. In addition to developing Color Brewer, Cynthia Brewer has written two books relevant to color and visualization. Designing Better Maps: A Guide for GIS Users is a how-to guide. Its companion volume, Designed Maps: A Sourcebook for GIS Users teaches by example, showcasing well-designed maps, and describing why they are effective. Written in 1967, Jacques Bertin’s Semiology of Graphics laid out what may have been the first comprehensive, perception-based theory of visualization. The section on color is short, but essential. Edward Tufte may be dogmatic, perhaps even a bit curmudgeonly, but he makes an elegant case for his point of view. The chapter on color in Envisioning Information is dense and convincing, packing an entire textbook’s worth of information into 16 pages. Maureen Stone’s A Field Guide to Digital Color could probably fit in any one of these categories. It covers everything from color theory, the physiology of vision, color management, and data visualization. As I’ve hopefully made clear, a perceptual approach to color in data visualization isn’t a matter of aesthetics or personal taste: it’s based on research into human vision and understanding. Here are some of the papers and books I’ve found most helpful. 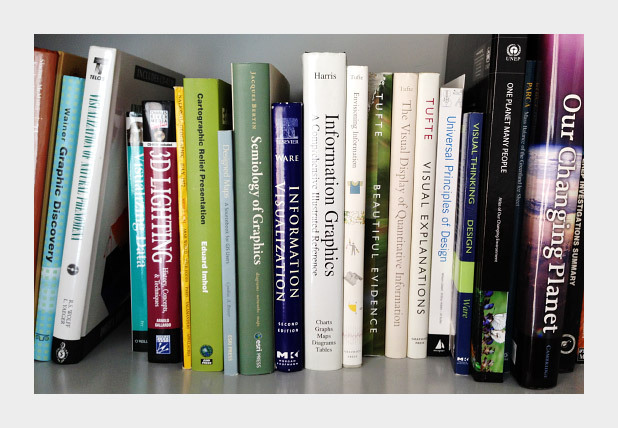 Ware’s two books, Information Visualization: Perception for Design and Visual Thinking for Design are also excellent resources. Information Visualization is more thorough, Visual Thinking for Design is more concise. Dave Green, a Senior Lecturer with the Department of Physics of the University of Cambridge came up with the cubehelix palette. It varies perceptually in lightness and rotates around the hue circle one and a half times, contributing additional contrast. There’s also a tool to generate variations on this palette. Another take is Matteo Niccoli’s perceptual rainbow. Niccoli provides a brilliant deconstruction of the weaknesses of the traditional rainbow palette, and he developed an alternative with linear change in lightness, but retains many of the saturated colors that appeal to those accustomed to the rainbow palette. 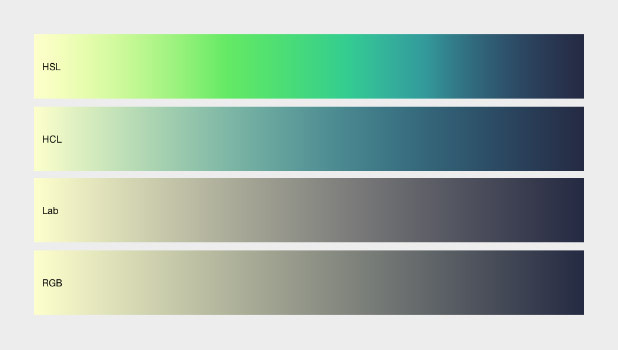 Instead of interpolating between colors in lightness, chroma, and hue space; Gregor Aisch’s brand-new additions to chroma.js use bezier curves and lightness adjustments to smooth and linearize palettes. He also included a way to pick intermediate hues, which adds some welcome flexibility to palette-building. And Kenneth Moreland of Sandia National Laboratories developed algorithms to generate perceptual divergent palettes. Bruce Linbloom provides tools to translate between color spaces—and the math behind them. I mentioned Color Mine in my previous post, on tools. In addition to the online color-calculator, they offer libraries to convert from one color space to another. Selecting Semantically-Resonant Colors for Data Visualization. There’s a large (and growing) community of data visualizers on the web, all of them eager to share ideas. I’m indebted to them. Robert Kosara summarizes many of these issues on his blog Eager Eyes, with How the Rainbow Color Map Misleads. Matt Hall, of Agile Geoscience, wrote a recent trio of articles: Five Things about Colour (which includes my favorite optical illusion) and Five More Things about Colour and Colouring Maps. I’ve already pointed to Gregor Aisch’s chroma.js, but he’s also got a concise critique of HSV-derived palettes. Theresa-Marie Rhyne covers additional color spaces (Red, Yellow, Blue; Cyan, Magenta, Yellow, Black) and types of color schemes (monochromatic, complementary, analogous) in her post Applying Artistic Color Theories to Visualization. Andy Kirk, Visualizing Data: Tools and Resources for Working with Colour. Dundas Data Visualization provides one of the best explanations of the challenges of designing for the color blind I’ve seen with Visualizing for the Color Blind. Three posts by Visual.ly’s own Drew Skau explain why NASA should stop relying on the spectrum to display data Dear NASA: No More Rainbow Color Scales, Please provide tips for Building Effective Color Scales, and explore the psychology of color Seeing Color Through Infographics and Data Visualizations. I’m sure I’ve missed some important resources for learning and using color. For example, I’ve misplaced the first book I read on color vision, and I can’t recall the title. There are many other resources available, please point them out in the comments.